Skegness is commonly known as Skegvegas to many people that have visited because of the number of amusement arcades in the town and on the seafront. It's the local holiday jaunt for many people from the Midlands and up and down the East Coast of England. It's tacky, cheap and often in the busiest times is really dirty. 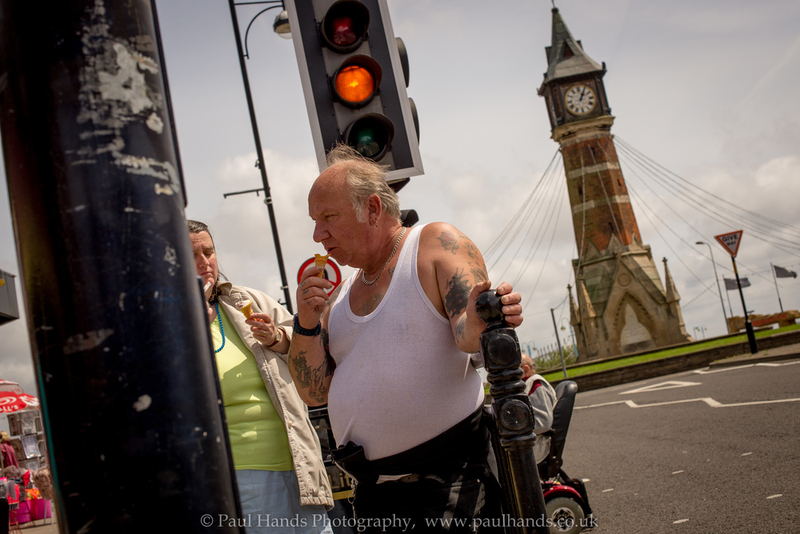 I spent a day walking around looking for what typically defines Skegvegas to me. Sadly I visited on a day when my wife Lisa had a days training with Elli Cassidy for some Newborn photography training. This meant that I was doing my street project on a day when most people were at work and the kids were at school. I encountered mainly old people and families with children below the age of school. Well here's four images that I created in Skegvegas. I have a final series of 9 images. The rest I will post tomorrow.